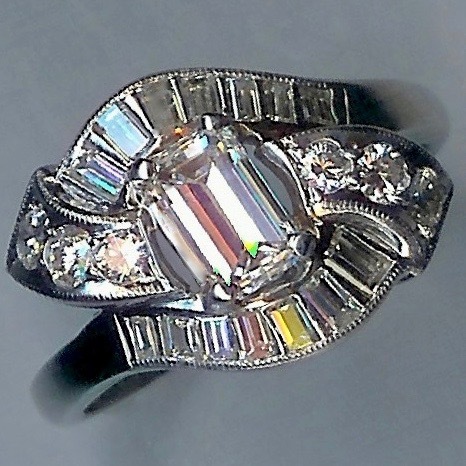 Unusual Stylish Silver Vintage Bracelet [SH8110] - £225.00 : loveVintageDiamonds.com, Your Vintage Diamond Dreams Come True! 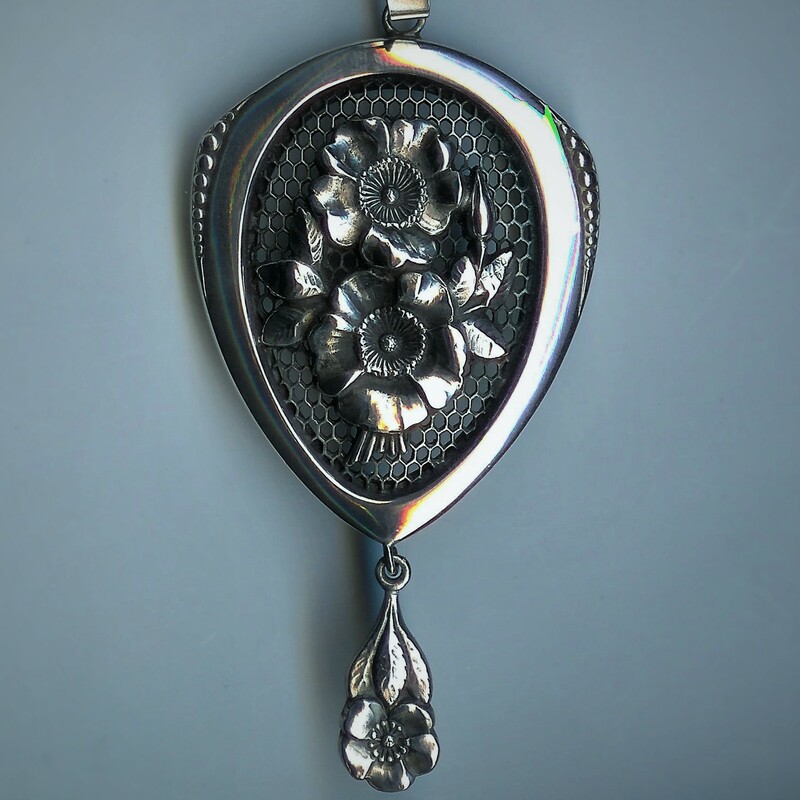 Unusual Stylish Silver Vintage Bracelet. 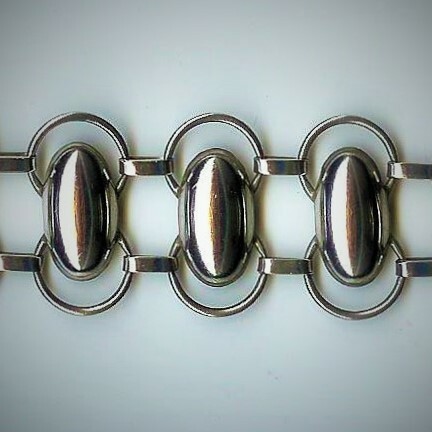 This is a stylish 1950s Danish bracelet by Mark Wilens. 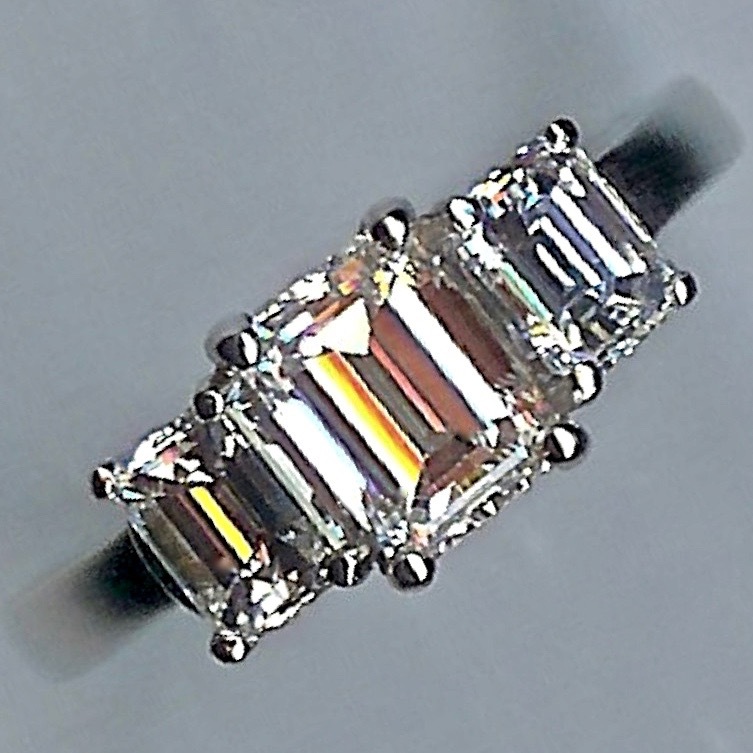 Eleven oval links are echoed by the outer shape of the bracelet. 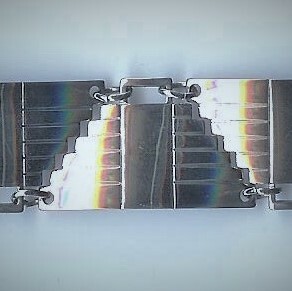 The length of this bracelet is just under 7.75" and the width is approximately 1" at the widest points. The overall weight of the bracelet is approximately 22.2gms.